Christmas is a festival of celebrating the joy of life and the hope of love. And what is Christmas without the Christmas tree? Decorating the Christmas tree is one the most popular traditions of celebrating Christmas. 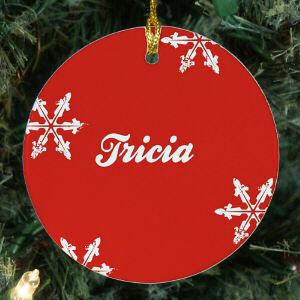 The Evergreen tree is decorated with lights and Christmas ornaments usually made up of glass, metal, wood or ceramics. It's a fun-filled activity for the entire family and is spirited by the feeling of togetherness and enthusiasm. Ornaments are of different shapes n styles from simple round colorful balls to highly artistic designs. This section will throw light on the varieties of Christmas ornaments available to you to help make your Christmas more bright and merrier this year! These include Christmas tree ornaments based on most common Christmas motifs like Santa Claus, Snowman, Angels, Snowflakes, the Nativity, Stockings, Candies and Fruits, Animals. There are antique vintage Christmas ornaments, Victorian Christmas ornaments, German glass ornaments, and homemade Christmas ornaments. If you need a dramatic splash of color to ornament your Christmas tree you can choose from porcelain or glass Icicles, stars, balls, drops, in Red, Lime Green, Teal blue, White, Silver, Golden colors. 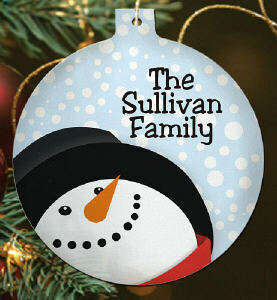 Lets look at some of the unique categories of Christmas ornaments, which you can gift to special people in your life or to celebrate precious moments in your life. This has a most exciting range of Christmas ornaments that you can imagine. If you can't think of a gift for your friends anymore just think of their favorite sport and give them a mini snow board, golf cart, tennis racket, glass soccer, skates, beautiful ballerina-all in the form of Christmas ornaments! Show gratitude to your teacher with a "Santa teacher" ornament or choose from some fun professional Santa ornaments like dentist, policeman, lawyer, mailman and make everybody's Christmas really Special!